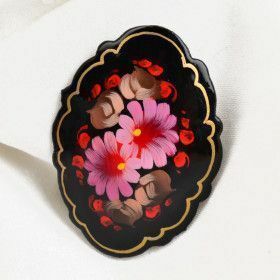 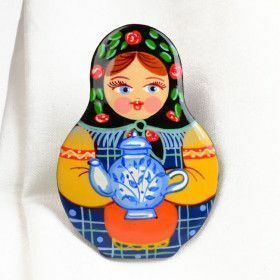 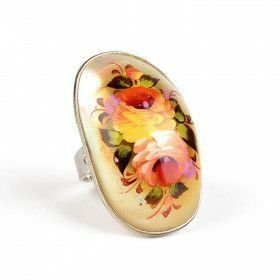 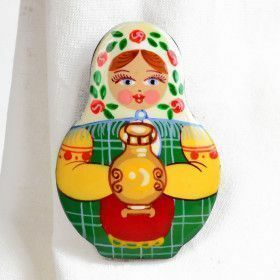 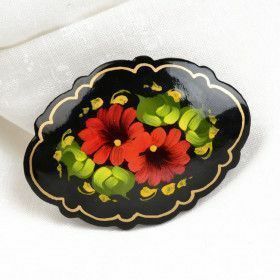 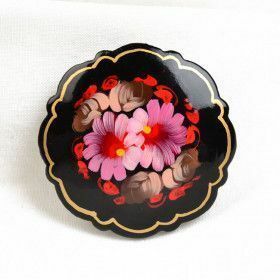 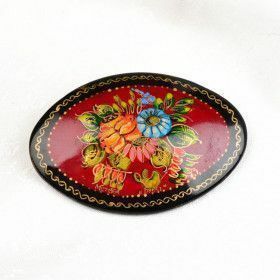 Add a touch of beauty to your hair with traditional Russian hair barrettes! 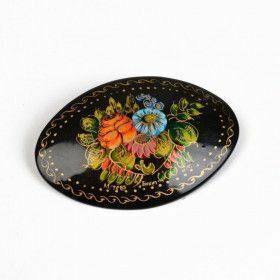 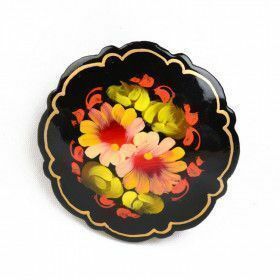 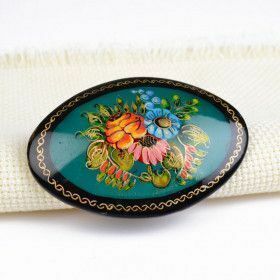 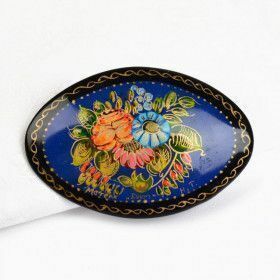 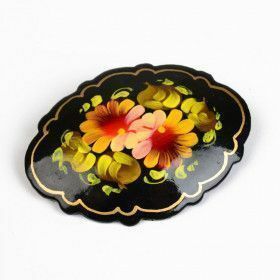 These handmade hair pins were skillfully painted in Zhostovo style and each barrette has been signed by the artist. 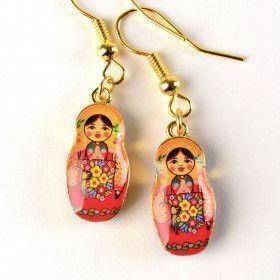 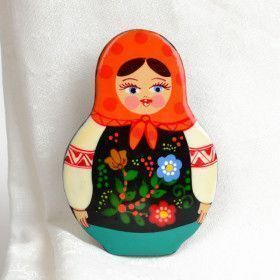 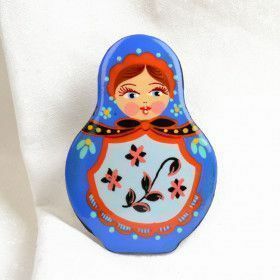 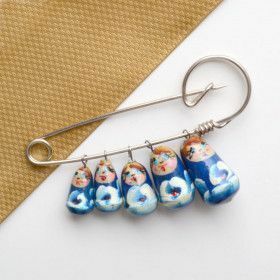 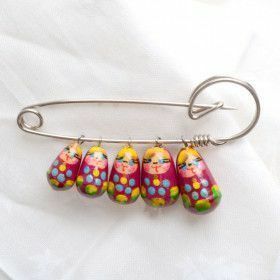 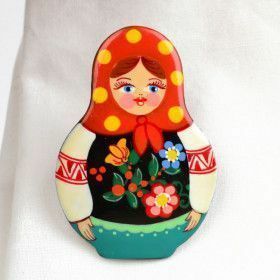 Also, have fun with matryoshka doll earrings and pins!